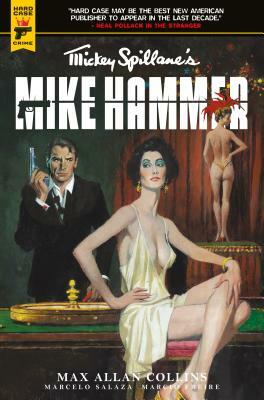 When a chance encounter with a captivating femme fatale leads to a violent mob retaliation, hard-boiled detective Mike Hammer finds himself dodging both bullets and hard broads as he undertakes the most dangerous case of his career. MAX ALLAN COLLINS was hailed in 2004 by Publisher's Weekly as "a new breed of writer." A frequent Mystery Writers of America nominee in both fiction and non-fiction categories, he has earned an unprecedented eighteen Private Eye Writers of America nominations, winning for his Nathan Heller novels, True Detective (1983) and Stolen Away (1991).